Holy crap the ground is frozen in my yard right now – as in crunchy, noisy as you step down on it frozen. I know it’s October & all but we haven’t even gotten to Halloween yet. 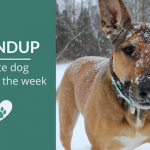 It’s been an amazing week for dog articles, which makes it so hard to pick any ‘favorites.’ So many wonderful writers and animal advocates out there; from this week’s Be The Change blog hop especially – you guys are all so amazing & inspirational. If you haven’t checked them out yet be sure to read all the wonder #BTC4A articles, so many wonderful animal issues brought to the table. 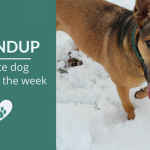 Here’s my picks for this weeks roundup – I hope you enjoy them as much as I did. Big amen to this piece. 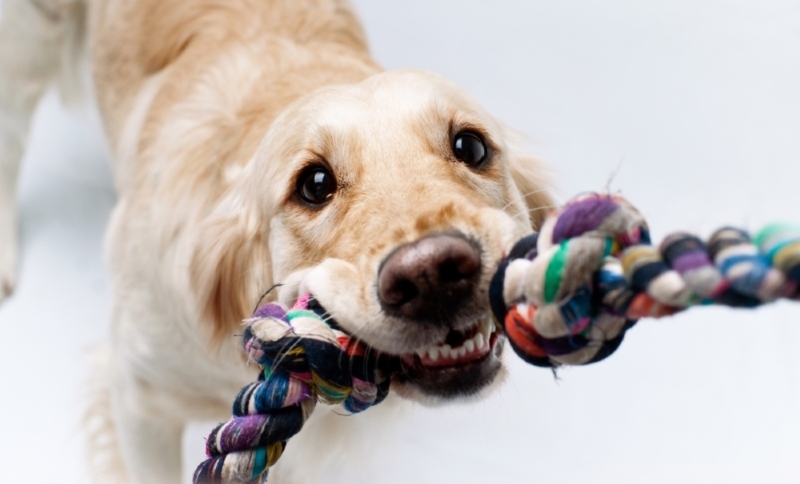 It’s very tempting to want every dog to be a social butterfly, one that will do well in a dog park or off lead, but is that goal even realistic? 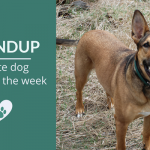 Just like humans our dogs have varying degrees of sociability – and sometimes it might be wise to just accept that our dog isn’t going to be super friendly towards everyone he meets. Interesting comparison between the resiliency in humans vs canines, and the question as to how we can support dogs that have experienced trauma. Does a Dog’s Body Language Tell Us How Much He Has Learned? Now that I’ve read this I’ve been watching for these cues – and guess what – they’re pretty damn obvious. (sort of like finding out about the direction of a tail wag) It’s amazing the things we might not pick up on until it’s gently mentioned to us. Is American Weight Gain to Blame for Canine Obesity? Interesting theory on impact an owner’s weight has on the growing epidemic of canine obesity. I do believe our ever growing sedentary life style has had a big impact on our pets. And I don’t know if it’s just a coincidence that about 1/2 of Americans say they walk their dog every day, and 1/2 of our pets are overweight. 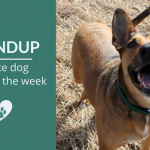 Not all shelters have open admission policies when it comes to surrendering animals – and this is a wonderful look at the impact managed admission policies have on the community. I don’t know what sort of super secret powers our canines hold, but I do know their intuition when it comes to humans is pretty spot on most of the time. Here’s a heartwarming story of one woman’s surprise when her new pup did the unexpected. If your dog is a hot mess at the vet like Laika you’re probably well aware of how much of a difference a good vet tech makes. If not I’m here to tell you – they dictate just about everything from the moment you walk into that exam room. And I’m so grateful for the awesome ones I’ve met over the past few years. Tearjerker alert – but oh so worth it. 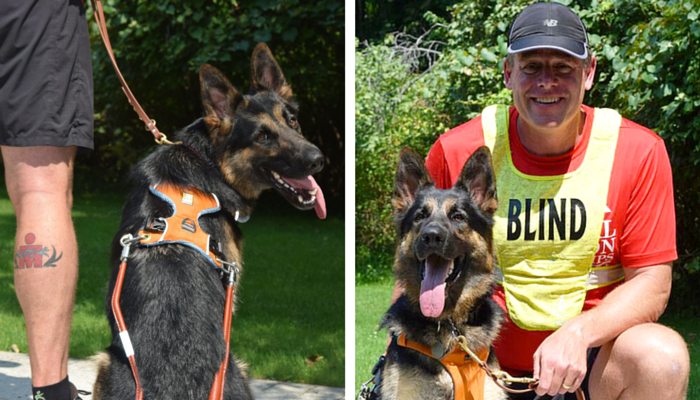 Inspiring story of the first ever guide dog trained to run with his blind handler. Another great roundup and I see a few articles I missed! Thanks for calling attention to them and special thanks for including my post about Randy Grim. He is a true inspiration to me. I’m awed at how much he’s accomplished and that he never became overwhelmed by the tragedies he witnesses every day. Or at least never let it get in the way of continuing his important work. That Frenchie video is hilarious! How silly being “attacked” by your own dog bed BOL. Thanks for including the vet tech piece too. Will have to check out some of the others. What a fun post! Lots of great stuff out there! Great stories and congrats on your VictoriaS post! That’s an awesome list of fun indoor games and just in time for the cooler weather around here.